Ground sumac comes from the berries of a wild bush native to the Mediterranean, especially in Sicily and southern Italy, as well as parts of the Middle East, notably Iran. Believe it or not, they are actually a member of the cashew family, and one of the main ingredients in a Middle Eastern spice blend known as Za’atar. They come in a lovely reddish (nearly purple) color, which is where it gets its name: sumac means red or turning red in Arabic. They have a tangy, lemony flavor, although much less of a kick than lemon juice, that is versatile and can be used in many different dishes. In fact, if you love dipping chips into hummus, consider sprinkling some of it on top. You’ll be glad you did! 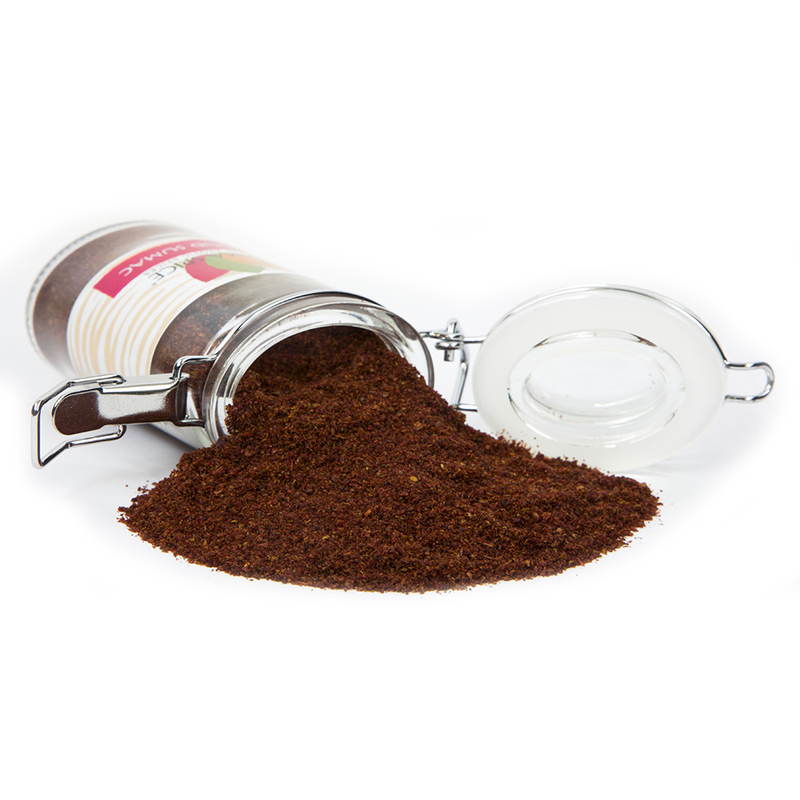 Before we talk about cooking with ground sumac, it is important to know that it should be stored in an airtight container, away from heat and light, in order to preserve the life of its flavor. When it comes to cooking, the ground sumac berries are picked, dried, and then ground into a coarse powder. 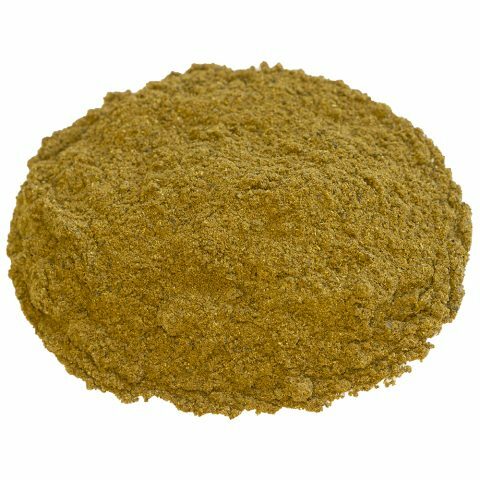 This powder is then used as a spice meant to help flavor meats such as chicken and fish, as well as salad dressing and rice dishes. Ground sumac can also be mixed with vegetables such as onions. Sumac is used widely in Arabia, Turkey, and especially in Lebanese cuisine. In these areas, it is used as a major souring agent in place of lemon, tamarind, or vinegar. It is rubbed onto kebabs before grilling and may be used in this way when cooking fish or chicken. When wondering what you should put ground sumac on, consider substituting it for any dish you might squeeze lemon juice on. And because it is part of the cashew family, many people also sprinkle it over their salad; or if you make your own salad dressing, it makes for the perfect ingredient. Ground sumac comes from the berries of a wild bush, shrub, or small tree native to the Mediterranean, especially in Sicily and southern Italy, as well as parts of the Middle East, notably Iran. It is primarily used as a source of dye, in medicine, or in the production of fermented wine. However, the dried fruits of some species are mostly used as a spice in Middle Eastern cuisine. Sumac is an Arabic word meaning red (or turning red), and the reason it is called this is because of its reddish (almost purple) color. Believe it or not, it was actually once used as the go-to tart-flavored spice in many European dishes before the Romans were introduced to lemons, and some Middle Eastern natives still prefer it over lemons. The strong acids in lemons can cause allergic reactions or general upset stomachs in some people. In such cases, ground sumac berries not only serve as a good substitute for lemons, but even contain certain diuretic properties and are often used to relieve upset stomachs. The sumac bush, shrub, or small tree requires a temperate, subtropical climate and can grow up to 3m (10 ft). They are best planted in autumn and require partial sun, but must have a well-draining soil. It is important to note that they can grow in any soil, even in dry wastelands, but do require continuous watering. In fact, for the first two seasons watering is essential, but when the third season starts it is ok to limit irrigation to dry, hot periods. No fertilizer is necessary for these kinds of plants. After several seasons, each mother plant will begin to form a thick colony of sumac shrubs around it. To that end, it is important to rejuvenate the colony (or crop) every few years. In other words, cutting the colony down in the winter is essential in order to keep the ground sumac crop from spreading throughout one’s garden. 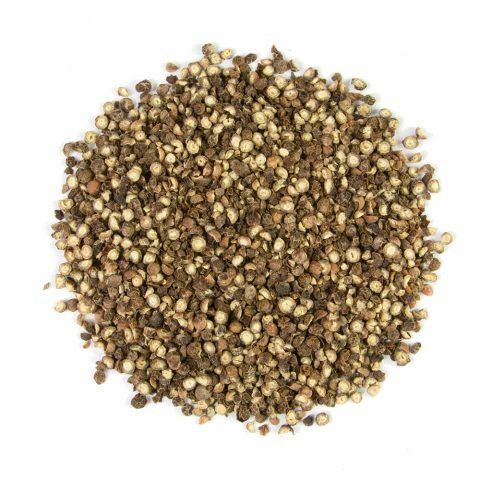 Our ground sumac is cultivated in the country of Turkey, which is a nation just bordering eastern Europe and western Asia and is dead center of the Middle East. Its culture is rooted back to the ancient Greek, Persian, Roman, Byzantine, and Ottoman empires. Turkey experiences a mixture of temperate subtropical climates as well as temperate oceanic climates. In other words, some parts have hot, dry summers and mildly cool, wet winters, while others experience warm, wet summers and cold, wet winters. This mixture of climates makes it a perfect breeding ground for cultivating and producing the best quality ground sumac money can buy.